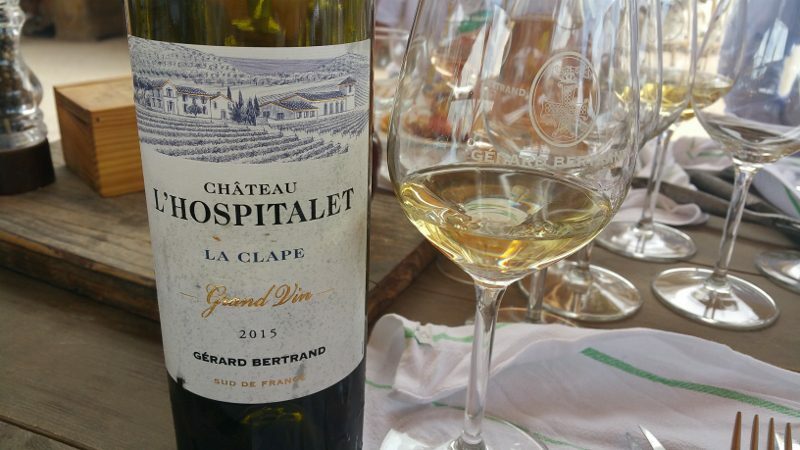 Bertrand was born in Narbonne in the Languedoc in 1965. He worked his first harvest at Domaine de Villemajou at Boutenac in Corbiéres when he was 10 years old. “I worked from 5 a.m. until 1 p.m. every holiday and during harvest for two weeks,” Bertrand recalled. Bertrand’s other passion is rugby; he played for 17 years at the highest level: He played with RC Narbonne and was the captain of the Stade Francais and later the president of the RC Narbonne. He also studied agriculture in the university, and in 1987, at the age of 22, he began working with his father. Sadly, his father passed away a few months later, but not before sharing his passion for the terroir with his son. As a winemaker, Bertrand developed an interest in biodynamics. As a 22-year-old, he had had liver problems and was unable to drink more than one glass of wine and was always sick. He began using homeopathic pills, and six months later he was able to drink two or more bottles of wine per day. This was his first connection to the benefits of natural resources. Then more than a decade ago, Bertrand read Rudolf Steiner and connected to the principles of biodynamics because of the similarity to homeopathy. Being pragmatic, he experimented by managing four acres conventionally and four acres biodynamically. After three years, he saw a difference, both in the vineyard and in the cellar. His biodynamically farmed grapes went from having low acidity and high pH to the opposite — high acidity and low pH, perfect for aging wine. The company grew from four to 40 to 80 to 1,000 acres produced biodynamically. From his 600 total hectares (approximately 1,500 acres), at least 65 percent is certified biodynamic or in the process of becoming certified. Bertrand owns 11 properties, three of which are certified biodynamic, and he grows 30 different grapes. 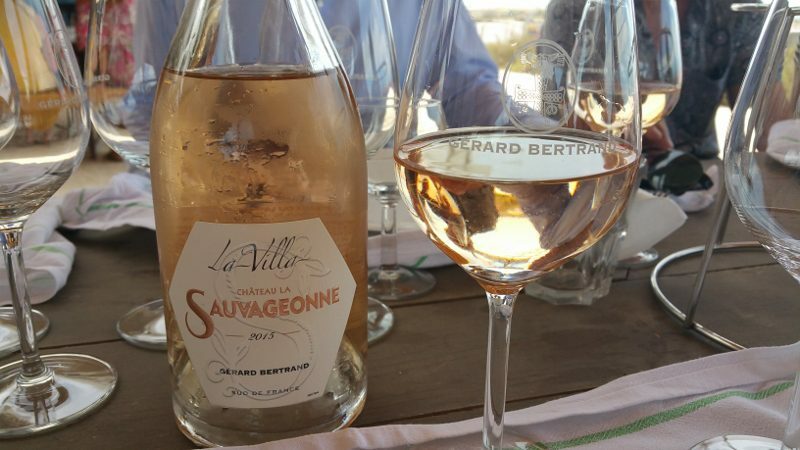 Today, Bertrand is a leader in the world for organic and biodynamic production. Domaine de Villemajou – In the heart of Corbiéres, Domaine Villemajou is where the family started in the 1960s. With 130 hectares, it was their first vineyard and today is the home of 100-year-old carignan bush vines. 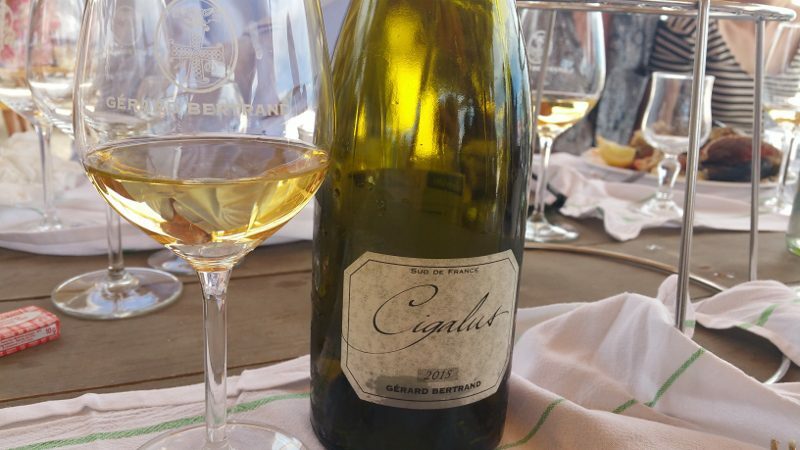 Domaine Cigalus – Purchased in 1992, Cigalas, located in Bizanet (Aude), is the home of Bertrand, his wife and two children. It was the first biodynamic estate, certified 13 years ago. The 75 hectares of vines are planted with chardonnay, viognier, sauvignon blanc, merlot, cabernet sauvignon, cabernet franc, syrah, grenache, carignan and caladoc. Château Laville Bertrou – Also purchased in 1992, Laville Bertrou is located in the commune of La Livinière (Hérault). La Livinière means “young vines” but the vines have been growing here for centuries. Seventy-five hectares are planted to syrah, grenache, mourvedre and carignan. Château l’Hospitalet – Located between Narbonne and the Mediterranean, Chateau l’Hospitalet is in the Clape Coteaux du Languedoc. Sitting on 1,000 hectares, there are 82 hectares planted to typical Languedoc varieties including syrah, carignan, Grenache, mourvedre, bourboulenc, roussane and chardonnay. It is also the home to a three-star hotel and restaurant and the location of the annual jazz festival. 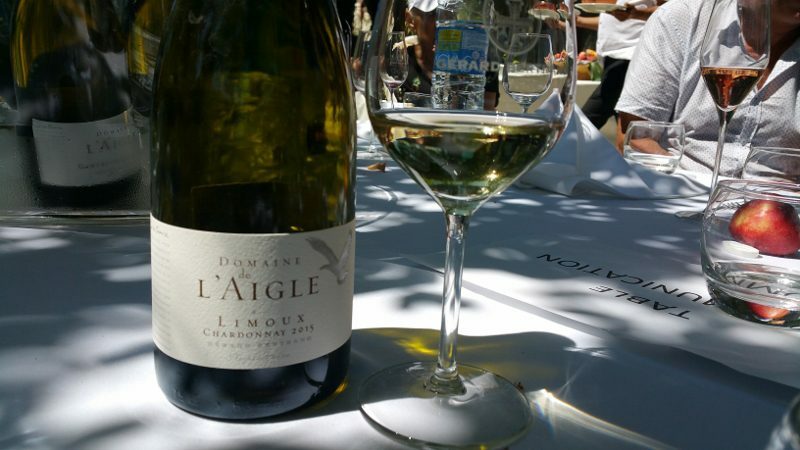 Domaine de l’Aigle – Meaning “land of eagles”, Domaine de l’Aigle one of the highest vineyards in the Languedoc. Purchased in 2010, Domaine de l’Aigle is located in the foothills of the Pyrenees and is planted to pinot noir, not a typical variety for the region. However, the 2007 pinot noir won the Grand d’Or award at the Mondial des Pinots competition in Switzerland in 2008. Chateau Aigues Vives – Located in Corbières Boutenac, Chateau Aigues Vives means “water of life.” It is reminiscent of the ancient Roman thermal springs that provide abundant groundwater that makes the terroir suitable to the growing of 30 hectares of vines of syrah, grenache, mourvedre and carignan. Domaine de la Sauvageonne —Purchased in 2011, Domaine de la Sauvageonne is in Terrasses du Larzac, north-west of Montpellier. A formerly volcanic region, the 57-hectare vineyard of syrah and grenache sits at an altitude of 300 meters. Château de La Soujeole – Purchased in 2012, Château de La Soujeole is located in the Malepère appellation. With a Mediterranean climate with strong oceanic humidity from the west, cabernet franc thrives here. 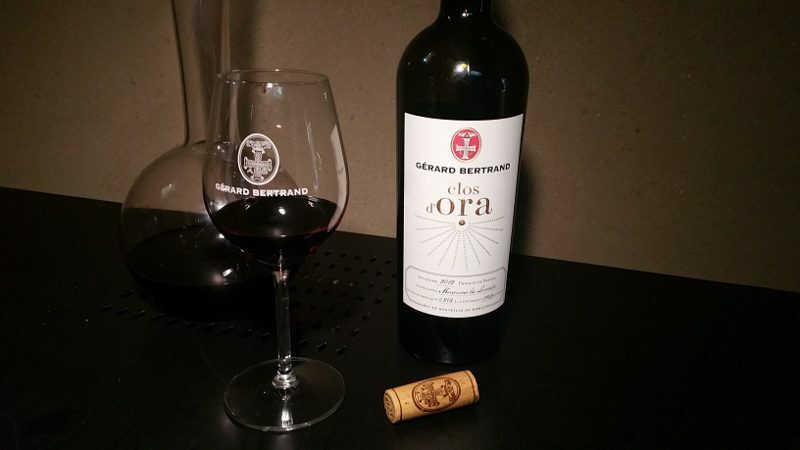 This estate produces one wine from the 33 hectares which is a blend of cabernet franc, merlot and malbec. Clos d’Ora – Opened in 2014, Clos d’Ora is a nine-hectare vineyard located at La Livinière in the Minervois. Syrah and mourvèdre have been planted alongside ancient carignan and grenache vines to produce a single estate wine. His other estates include Château de Tarailhan and Château des Karantes. 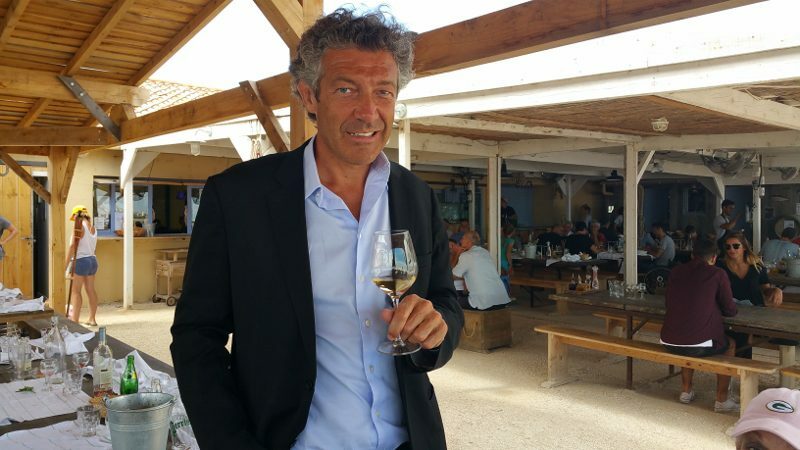 From sparkling wines to reds, whites and rosés, Gérard Bertrand is committed to sharing the characteristics and diversity of each of the terroirs of his region, the Languedoc-Roussillon. This entry was posted in Lifestyle, Travel, Wine and tagged Art de Vivre, Art of Living, Chateau Aigues Vives, Château de La Soujeole, Chateau l'Hospitalet, Château Laville Bertrou, Clos d’Ora, Domaine Cigalus, Domaine de l’Aigle, Domaine de la Sauvageonne, Domaine de Villemajou, France, Gerard Bertrand, Gerard Bertrand Wines, Languedoc, Languedoc-Roussillon, Napa Valley Register, South of France, Wine by Allison Levine.